Most Americans greatly admire the military -- but they actually know almost nothing about it. 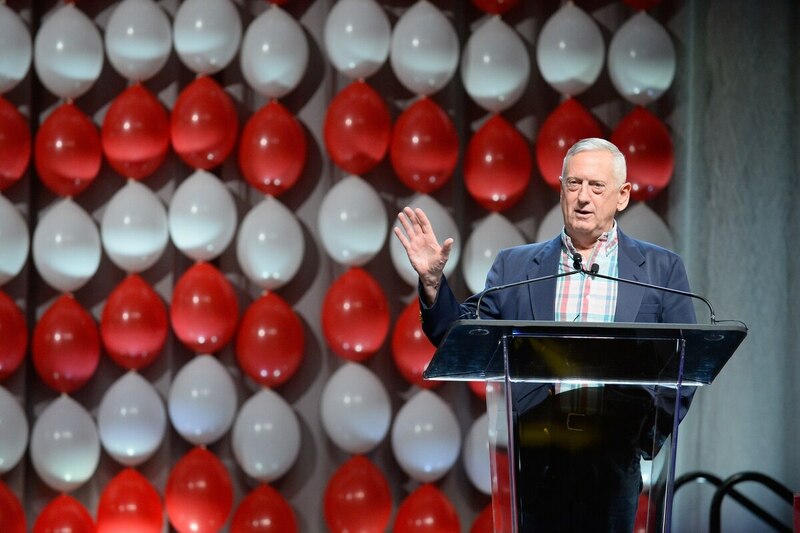 "Most people know nobody in the military," said retired Marine Corps Gen. Jim Mattis, who spent 44 years in uniform. "There are many people who do not know if the U.S. Army has 60,000 men or 6 million. They do not have a clue about that," he said. Mattis, the revered four-star general who headed U.S. Central Command before retiring in 2013, is the co-author of a new book, "Warriors & Citizens," that reveals ground-breaking research about the cultural gap between the military and the civilian population it serves. Experts say that reflects the shrinking size of the military, military recruiters' heavy reliance on specific regions like the South, and the closure of many military bases during the past 20 years, which has isolated today’s troops in fewer locations. Yet most civilians admire the military and its service members, regardless of their lack of knowledge. About 70 percent of Americans said most members of civilian society have "a great deal of respect for the military." And 85 percent said they are personally "proud of the men and women who serve in the military." "It looks like that connection [between military and civilians] is very broad but very shallow. That was a surprise to us," said Kori Schake, who co-authored the book with Mattis. She’s a former Pentagon official who studies military issues at the Hoover Institution. "I think the gap can be tolerated so long as we maintain a fundamental friendliness in America toward one another and a respect for each other," Mattis said in a recent Military Times interview. "America is quite right to be proud of their military, but at the same time there has got to be a sense of common purpose between these two elements. If, in fact, this gap grows and we lose the sense of common purpose, then I think we have a problem," he said. Mattis said he was concerned that "policy makers who have never served in the military" will "continue to use the military to lead social change in this country," pointing to the decision earlier this year to open all combat jobs to women. "We are liable to find ourselves paying the cost on a battlefield that we do not want to pay. There is no God-given right to victory on the battlefield. You win that through the skill and the devotion, the valor and the ferocity of your troops. You have to be very, very careful, I think, if this gap grows, and it surely will. We have to be very careful that we do not undercut the military battlefield effectiveness with shortsighted social programs," Mattis said.